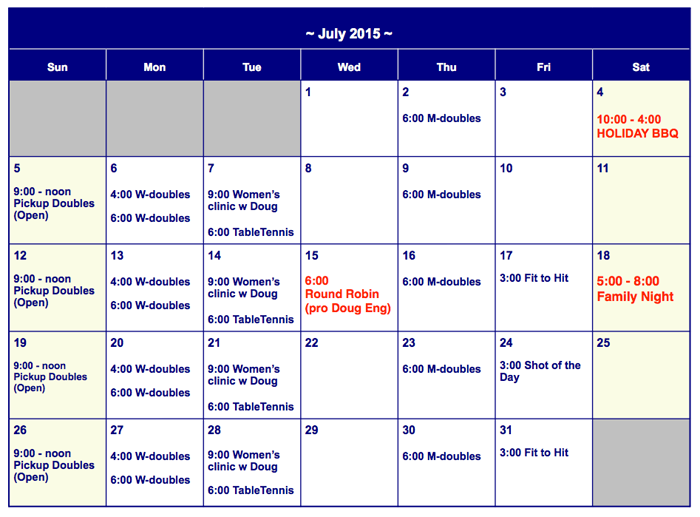 Wednesday, May 18th, 6-8:00 p.m.
Wednesday, June 22nd, 6-8:00 p.m.
Wednesday, July 13th, 6-8:00 p.m.
Wednesday, August 10th, 6-8:00 p.m.
For 2015 Table Tennis Events go to the Table Tennis page. The charge for the Round Robins is $25 - tennis balls and food & drink are included. 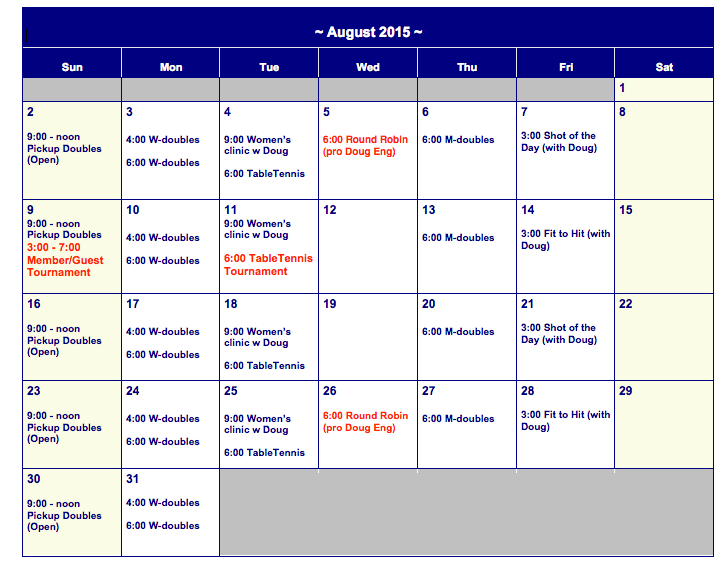 Event notices will be posted in the clubhouse two weeks prior at which point sign-up will be available online.